Recently I read a book with the intriguing title, Theology Brewed in an African Pot. The author, Agbonkhanmeghee Orbator, a Jesuit priest from Nigeria, teaches theology in Kenya. At the end of each chapter, Father Orbator has prayers that reflect the African way of relating to God. At the end of Chapter 2, “A New God Comes to Mbanta,” the author has an African Invocation of Divine Names. Here is only a sample: watcher of everything who is not surprised at anything; sun too bright for our gaze; mother of people; father of laughter; the one who sees both the inside and the outside. Having prayed that lovely list of names for God, I found myself paying more attention to the psalms during our Liturgy of Hours as I looked for names of God from our Judeo-Christian culture. Those names, too, are many and varied: tower of strength; rock of my salvation; lover of justice; protector of our very bones; my stronghold and defense; one who is good and forgiving; gentle breeze; mothering God. In the silence between the psalms, I began to make my own names for God: keeper of our sighs; holder of our tears; comforter of the broken hearted; bearer of our sadness; healer of our grief; one who delights in our joy; lover of our humanity; deep well of our trust. And so there are a thousand names for God. Out of our own experience we can add to those names, as do millions of persons of every nation, race and religious background. In the terrible aftermath of the earthquake in Haiti, some would like to name God as Punisher. Some seem to see in every bad thing that happens to good people the wrath of God. But the God we name is above all the one named by Jesus Christ as Abba/Father/Mother, as a forgiving parent in the parable of the Prodigal Son; as a seeker of those who are lost; as the healer of all our ills. It seems that the common theme in the African invocation of divine names, and in the Christian Scriptures as well, is that our God is the God of love, who desires only our good. I invite each of you who read this blog, to write your own list of names for God, to allow those names to sink deep into your heart and self-awareness, and to pass them on to your children’s children. Image: "The I AM Sayings" from John 6-15. Illumination by Thomas Ingmire for The Saint John's Bible. For more information, visit www.saintjohnsbible.org . Labels bother me. I’m sure I myself use them much oftener than I want to admit. But one of the labels that really bothers me is “Attention Deficit Disorder [ADD].” These are some characteristics often associated with the ADD label: scattered thinking, inability to complete tasks in a timely manner, frequently forgetting important things/tasks, having little sense of time. Those who enjoy qualities that are the opposite of these, find persons with ADD more than a little irritating. Recently I recognized that I myself probably grew up with ADD in an era that had not yet come up with the label (“Praise God”). Persons who have brains that are wired differently than the thought-processes of those living with ADD, can find themselves baffled by ADD behaviors they frequently witness. It doesn’t take a giant leap for a non-ADD person to attribute “assumed intentions” to the behaviors of a person with ADD. It’s not the irritation that bothers me, it's the “assumed intentions” attributed to my behaviors and my friends with ADD that often startles me. So far, those who tell me “You certainly don’t…” followed by a description of what they assume are my motives for a recent behavior, have been almost 95-100% incorrect in their explanation. 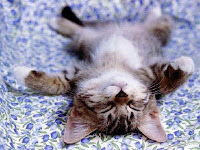 Currently, I have a personal calmness about my ADD-brain. I redefined ADD for myself. When someone tells me that they have and advanced degree, I assume they have a Masters degrees or PhD. Therefore, I now define ADD as an Advanced Degree in DISTRACTIBILITY. It surely beats having a Deficit Disorder. So feel free to share this definition with any friend or relative you might know who has been given an ADD label. Maybe it won’t help them, but it surely helped me. It wouldn’t surprise me if more than a few inventors followed their “distractions," and ended up discovering something really exciting and useful. Who knows, maybe your ADD friends are inventors or creative minds in the making. We are in Ordinary Time since Sunday, January 10. In our house, we know this because our Christmas tree which was especially beautiful this year, and graced our living room for almost a month, was taken away on January 12 to be transformed into mulch for our gardens and grounds. These few weeks between the Christmas season and Ash Wednesday are an "in-between" time: it is winter but we haven't been into it long enough to justify screaming "enough! ", it is too early to see signs of spring and some of us have the January blahs. It is an "in-between" time because, even if the Christmas tree is gone, we are still finding tree needles in strange places, and we are not yet ready to anticipate Lent which begins on February 17. These few weeks of Ordinary Time give us the opportunity to slow down the pace a bit, to take deep breaths, and to catch up with friends. Before we have to become serious about Lent, some of us might decide that it is a good time to go through cluttered drawers and closets. There is an ancient practice in monasteries when some time in Lent the Abbot or Prioress would visit the monk's or nun's bedroom to make sure that he/she was not accumulating too many things. Just in case Sister Nancy, our Prioress, decides to visit my bedroom this Lent I am going to get a head start and start uncluttering now. I have a big job ahead of me. On the other hand, I think I will take a long winter nap. I had the privilege of attending the opening of the Women & Spirit: Catholic Sisters in America exhibit at the Smithsonian on January 15 in Washington, DC. The exhibit is sponsored by the Leadership Conference of Women Religious (LCWR) and grew out of an idea born about five years ago. My cousin, Honora Precourt, was the development coordinator for this LCWR History Project. It is difficult to put into words the impact this historic and spiritual exhibit will have on viewers! This stunning exhibit was done with professional help from Seruto & Company (who worked with the King Tut exhibit) based on history from archivists of religious communities across our nation. It is the story of women’s leadership in healthcare, education, social service and justice at a time when few women enjoyed such possibilities. It reveals the mystery behind committed women who helped shape our nation’s social, cultural and spiritual landscape. 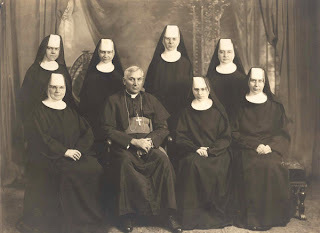 I was thrilled to see a picture of Sisters from St. Benedict’s Monastery in St. Joseph, Minn., who worked with American Indian children as well as seeing our monastery listed under sponsors of this project. The exhibit debuted in Cincinnati, Ohio, and will travel to New York City and Dubuque, Iowa. I hope you will be able to see this outstanding exhibit of religious life which was and continues to be a viable lifestyle for many women! Many of us look upon the child and are disarmed. There is a freedom in her exploration, a joy in the discovery of the manifold ways in which life surrounds her. The child is undaunted in her quest to know more of life. She is generous in her love and holds little distinction between who is deserving of her attention. On occasion she will fall and scrape a knee or stretch the limits set for her by her parents. She will feel the “hurt” of these happenings but they do not grip her or hold her back from who she is as a child explorer; God’s delight. She trusts that her parents will always be there for her and that is what keeps her free. We are God’s children and to live in this truth is our vocation. We are challenged to pull back the layers of unbridled mistrust, the weighted distinctions of what is determined as beauty, the silencing of the voice that has the courage to ask “why” and the paralyzing fear of being a disappointment because of one’s humanity. We must claim the trust we had in our beginning years. Our parent, our God, will always be there for us and that is what will keep us free; a freedom to live authentically as God’s child; to live gratefully in love. I often hear myself saying that I really believe in the "power of prayer," and I write that same phrase when I ask for prayer, saying that others really believe in the "power of prayer." Just recently I actually experienced the "power of prayer," I think, or something very close to it. My 91 year old traveling companion, Sister Johnita, and I joked that she would be the one to shovel snow if we got stuck in any drifts on our way to Dickinson, North Dakota. We both have relatives there and often drive across the state to visit them and our hometown together. I drive and S. Johnita provides conversation and snacks. This year we left St. Ben's after the big snowfall on Christmas Eve and Day. We knew that I-94 had been closed for at least one whole day, but the reports seemed good for driving west on December 28. And indeed they were. We had no problems except for facing the bitter cold. However, on the way back on Saturday, January 2, we could not see much of anything because of ground blizzarding. Any snow that was loose on the ground was blowing around us making white-out driving conditions. I was following a black car that was the only other vehicle on the road it seemed. After many tense miles of sound bytes about the road and weather, S. Johnita suggested we pray the rosary. Sure, I said, even though this is not my usual pastime while driving to and from North Dakota. "In the name of the Father, the Son, and ..."
As we started the third joyful mystery around Hebron, I noticed the visibility improving and felt more hopeful because I knew that 450 miles of 6-8 car lengths of visibility would make this an intense drive. 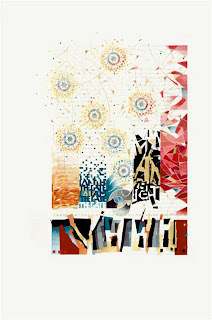 "The fifth joyful mystery - Birth of Jesus - . . ."
Mile by mile, we drove into brighter sky and clearer air until we reached New Salem and could actually see Sue, the dairy cow who overlooks the area from her perch on the hillside. It may be hard to believe, but we were greeted by sunshine in Bismarck, only 40 miles after we finished praying the rosary. We relaxed somewhat and stopped for coffee just off Highway 83, and enjoyed one of S. Johnita's cookie snacks. We hardly saw a snowflake in the air after that, and sunchine was our companion the entire trip to St. Joseph. Is this not a potent example of the "power of prayer"? When I turned ten, my father bought a special book for me that Christmas: Butler’s Lives of the Saints. It was a small hardcover, profusely illustrated and with entries for every day of the year. I loved that book and read it faithfully—almost daily, for years. It even came with me when I entered the convent after high school graduation. Somewhere along the way, with all the moving I did, I lost the book. This occurred in the late 1960s, and perhaps was not that great a loss—since at least two new editions had come out by then. Alban Butler (1710-1773) was an English cleric who spent nearly 30 years compiling the “Lives of the Saints,” biographies of over 1,600 saints arranged in order of date. The book was first published (four volumes) in 1756-59; and several revised editions came out during the next 200+ years. The latest edition (12 volumes) is available from the Liturgical Press. Canonization is the process by which the Catholic Church recognizes saints. In the 1960s a pruning occurred; several names disappeared (including one of my favorites, St. Christopher) and some feast days were rescheduled. However, the number of saints has increased greatly during these past 25 years—the largest number having been added by Pope John Paul II. I have looked into the 1990 edition of Butler’s Lives, edited by Michael Walsh, and scanned the entries covering several months. I am somewhat disconcerted. So many strangers! Looking at the January feasts, for example, I am surprised at how few saints’ names I recognize. Of the 31 saints listed, I recognize only six! How many of us know of St. Thorfinn (Jan. 8), St. Sava (Jan. 14) or St. Eystein (Jan. 26)? 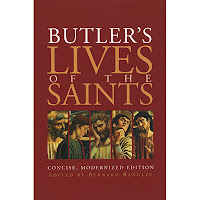 I am aware that the newer editions of Butler include many more diverse saints — ethnically and nationally. This is all to the good, I am sure, though I do miss the familiarity I once had with “my” saints. However, we are in a new year and new decade with new beginnings; I shall begin to acquaint myself with “new” saints. That they will provide inspiration, I have no doubt. January 13, 2010, is the date when S. Mary Jane Berger leaves from here to accompany a group of 30 CSB/SJU students to their overseas semester in South Africa. S. Mary Jane is part of our house group in Evin Hall 1 & 2. As we get ready to say goodbye to her for the next four months, I am reminded of the lovely meeting we as a community had with her students on the evening of Nov. 29. S. Mary Jane invited her 30 students to have dinner with us in our monastery dining room that evening. When the students arrived, they were invited to join sisters at various tables. I sat at a table with five young women—Courtney, Logan, Megan, Katherine and another Courtney. It was such fun to hear about their enthusiasm for their trip to South Africa and to know of the many meetings they were having with S. Mary Jane to get ready for their adventure. Toward the end of the meal a number of students came to the microphone to share with us the efforts they were making to raise funds for two particular needy places in South Africa. They spoke with great excitement about some of the side trips they would be taking while there. They also told us what courses they would be taking. At the end of the meal, S. Mary Jane asked the sisters to give these students our blessing. All the sisters stood up and with upraised hands sang a blessing over the seated students. I know the students were touched and grateful, but we as sisters were also enriched by getting to know about the lives of these students here at St. Ben’s and St. John’s. It broadened our horizons and helped us to again feel connected with the idealism and generosity of the young. To read S. Mary Jane's entry on this journey to South Africa, click here.